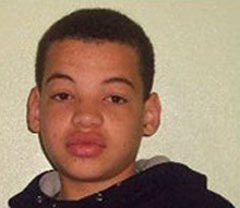 The death of 15-year-old Gareth Myatt at the hands of staff at Rainsbrook Secure Training Centre in Northamptonshire has appalled us all this week and the verdict of accidental death recorded by the five week inquest is a worrying conclussion many believe the jury should be ashamed of. Gareth died when he was restrained by three members of staff after refusing to clean the sandwich toaster. He tried to tell them he couldn't breathe, but they did not release him. As they held him down, Gareth choked on his own vomit and died. The five-week inquest into Gareth's case, which ended last Thursday, found that his death was an accident. But the jury also found that he might still be alive if the Youth Justice Board (YJB), which oversees privately run centres like Rainsbrook, had carried out adequate safety checks into the types of restraints staff were being trained to use on the children in their care. In an article in this week's Guardian Laura Smith, interviewed Gareth's mother Pam Wilton and who relates how she received no phone call or letter expressing regret at her son's death, no offer of help or support, and that her attempts to get information were blocked at every turn. Pam also paints a picture of Gareth's life and the problems he encountered that inevitably contributed to his death. If we look between the lines we can see that Gareth was a young man that needed help. His mother though well intentioned didn't know how to help him and her choice to keep his father and therefore any extended family out of his life ensured that Gareth was ill equipped to deal with the racism he would face as he grew into manhood. 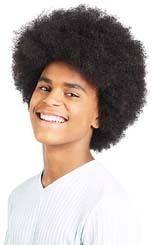 With a lack of information available for single parents of mixed-race children there was a good chance that Gareth would encounter problems his mother couldn't help him with. The signs were there that Gareth was having difficulties. Coming to the attention of the police at an early age, the racist bullying, not liking his skin and his hair, who wouldn't start to lash out. Sadly it seems there was no-one in Gareth's life who could help him make sense of why he wasn't perceived as 'good enough'. Gareth is now listed on the Inquest website under deaths of children in penal custody as black. It was how he was viewed by his tormentors yet it is doubtful that is how he viewed himself and not having had any contact with his black family Gareth had little understanding of what that meant except that it caused him great pain. His mother who fought for the past three years to have his death explained is now missing from his racial background. We shall of course ask Inquest to correct this.